One of the advantages of owning a Mac is not having to worry about malware as much as our PC counterparts. Since Mac has grown in popularity over the past few years, Macs are becoming a bigger target for cyber-threats. Just a couple of weeks ago, the “Boonan” trojan was discovered; it disguised itself as a Java applet and would hijack the user’s system account then take control of the machine. To combat this problem, there have been a very limited number of anti-virus options available for Mac, but now, ESET has launched a Mac version of their well-known ESET NOD32 software. 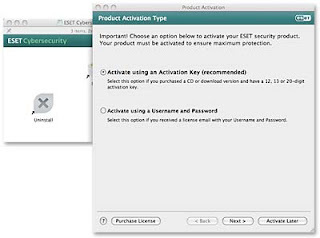 Cybersecurity for Mac looks and operates very similarly to the PC version of ESET’s product. The installation process is very easy with ESET’s wizard. If you purchase the boxed software, you simply load the CD and follow the instructions. For the downloaded version, you are required to pre-register. The program does require you enter an Activation Key or pre-set username or password before accessing the software. 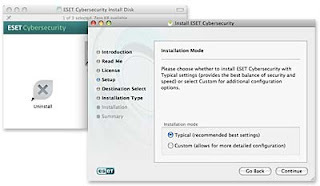 ESET’s install wizard offers two options for setup: typical or custom. By default, typical is recommended for new users. There is also a feature to auto-detect potentially unwanted applications. 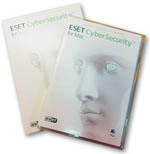 Once installation is complete, and the system is rebooted, ESET is ready to start running. 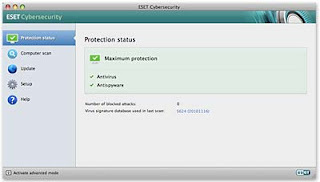 The program interface provides the same functions as other versions of ESET: Scan, Update, Setup, Help and Protection Status. The first step is always to scan your computer for any existing malware. This process can take up to 30 minutes depending on the number of files stored on your system. The Update menu tracks ESET’s software updates; it displays the signature database version and when the software license expires. Protection status follows software updates for your entire OS such as security patches. This menu also shows similar data as the Upadate screen for virus signature database version and license expiration. For the Setup menu, ESET has a software disable function, and the Help & Support menu offers comprehensive information about navigating the program’s interface.